Vinita Mehra, a director and the firm’s Asia-Pacific Team leader, has been honored by the Asian American Commerce Group through its prestigious “Ohio Asian Award” in the area of professional services. This award was established to recognize professionals who have increased the visibility of Asian Americans or issues affecting the Asian-American business community in the professional services industry, including the areas of law, engineering, accounting, consulting and others. Vinita was selected for this award, in part, due to her deep-rooted involvement in the Asian-American community through her philanthropic efforts with ASHA Ray of Hope (a group that advocates against domestic violence), with the Federation of Indian Associations (a community development group) and for Bharatiya Hindu Temple. 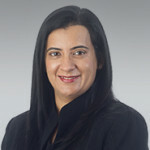 The organization also considered Vinita’s professional and industry efforts, including her board and committee roles with Women for Economic and Leadership Development (WELD), Greater Columbus Sister Cities International, the Columbus Council on World Affairs, and the Asian Pacific American Bar Association of Central Ohio. This honor adds to Vinita’s growing list of recent honors, which already included: selection to the esteemed group of “Women You Should Know” from the Ohio chapter of WELD; inclusion among Columbus Business First’s “Forty Under 40” group of emerging young professional leaders; receiving the “Rising Star” award from the Federation of Indian Associations; earning a designation among the “Most Powerful and Influential Women” at the Ohio Diversity and Leadership Conference; recognition from the Columbus International Program for her community service efforts; and many more. View more information on the other deserving award winners. Learn more about the Asian American Commerce Group.